Our mate Brittany from The House That Lars Built is here with a festive DIY tutorial to help fill your home with Christmas cheer! 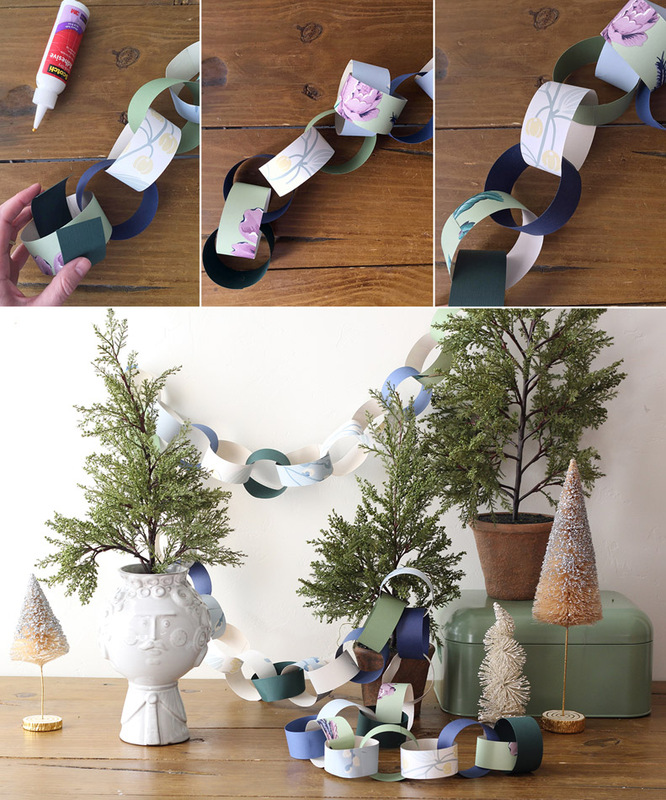 I love the anticipation of the holidays and one of the best ways to countdown the final days to Christmas is with a traditional paper chain. This time we used Laura Ashley Spring Trail Duck Egg and Elveden Celadon wallpapers to create the chain and it turned out so lovely! 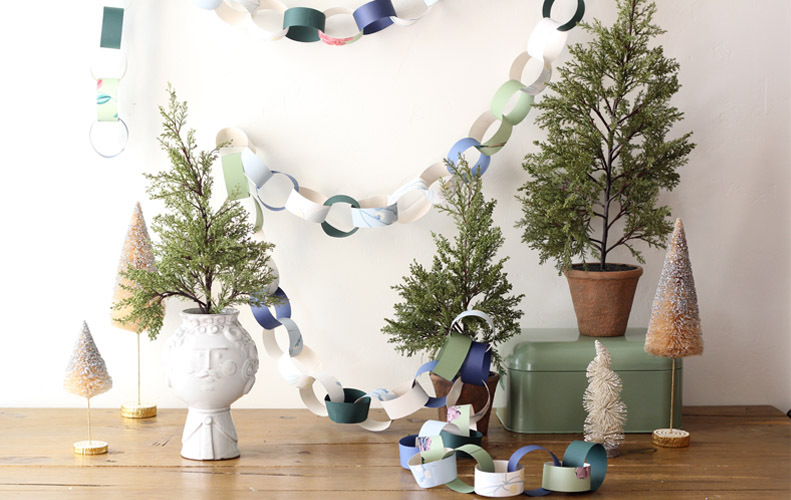 These paperchains add nice vibrancy to a tabletop or mantle. 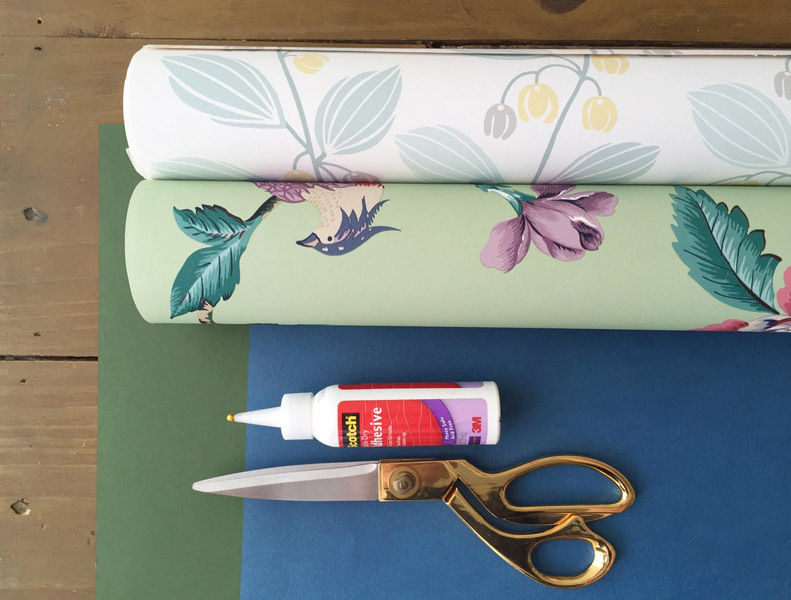 Follow along to craft these wallpaper chains! Materials: Laura Ashley wallpaper (we used leftover pieces), glue, scissors, ruler, solid cardstock paper. Measure the paper into 1.5″ x 10” strips. We cut wallpaper and solid paper to intersperse the chain in an every other pattern. Connect the links by gluing one link, then interlocking the next together. Continue this pattern until it reaches your desired length. 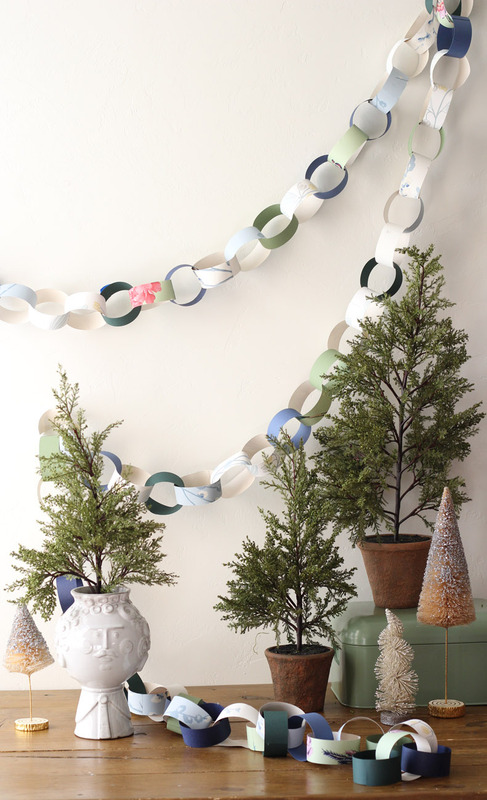 Simple to make and pretty for all to see, these paperchains will pair nicely with your other holiday decor. Happy decorating! 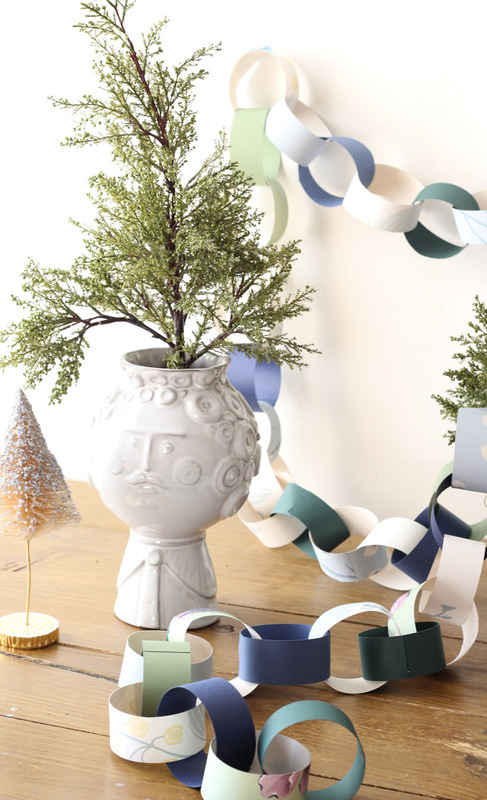 This entry was posted in Kid's Corner, Make & Do and tagged brittany jepsen, christmas, diy, Elveden Celadon, holidays, Make & Do: Wallpaper Chains, make and do, Spring Trail Duck Egg, the house that lars built, wallpaper. Bookmark the permalink.